MAX-N+ charts provide accurate, up-to-date information, unique features and specialized content to enhance every boating adventure. Easy Routing™, Dynamic Raster Charts, High-Res Satellite Imagery, High-Res Bathy Fishing Charts/Sport Fishing Data, 3D-View, Custom Shaded Depths and Aerial Photos, Detailed Marina Charts, High Resolution Bathy Data, Dynamic Tides and Currents, Plus all of the features in MAX-N. Region: Baltic Sea and Denmark. 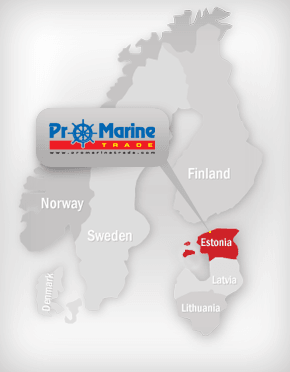 Detail Marine Chart- Estonian coastline 20 nm + inland waters (Peipsi Järv, Emajõgi etc). 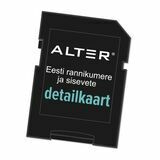 ALTER3 SD chart suitable for following plotters: Lowrance: Mark-4 CHIRP, Mark-4 HDI, Elite-4 CHIRP, Elite-4 HDI, Elite-5 CHIRP, Elite-5 HDI, Elite-5 Ti, Elite-7, Elite-7 CHIRP, Elite- 7 Ti, Elite-9 CHIRP, HDS Gen2, HDS Gen2 Touch, HDS Gen3. Simrad Yachting: NSE, NSS Sport, NSS evo2, NSO evo2. B&G: Zeus Touch, Zeus2, Zeus2 Glass Helm If You buy new chartplotter from us, price - 49 EUR !